PR Week Magazine has described Peter Shankman as “redefining the art of networking,” and Investor’s Business Daily has called him “crazy, but effective.” Peter Shankman is a spectacular example of what happens when you harness the power of Attention Deficit Hyperactivity Disorder (ADHD) and put it to work for you. Peter Shankman is recognized nationally and globally for doing PR (and everything else) differently—not only to get attention, produce great results, and create great companies, but also to have a lot of fun while at it every day. 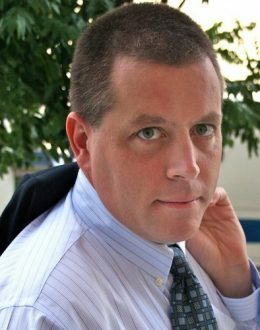 Peter Shankman is the founder and CEO of The Geek Factory, Inc., boutique marketing and PR Strategy firm located in New York City, with clients worldwide. His blog, PR Differently, which he launched in 2004, both comments on and generates industry-related news and conversation. Peter Shankman founded AirTroductions, the world’s first social network for business travelers after a particularly brutal inter-continental flight. Launched in 2005 to instant media attention and growth, AirTroductions was acquired in mid-2007 and relaunched in January of 2008 as TripLife, (www.triplife.com) the largest social networking and connections website for all travelers. In 2008 Peter Shankman launched Help A Reporter Out (HARO) which connects journalists with the sources they require using a social media platform. HARO is already over 250,000 members. Peter Shankman‘s PR and Marketing clients have included the Snapple Beverage Group, Walt Disney World, Vantage Point Venture Partners, American Express, Discovery Networks, New Frontier Media, OpSec Security, Napster, Juno, GenuOne, Dream Catcher Destinations Club, Prstore, Weblo, and many others, and he sits on the board of both Scott-e-Vest, the world’s first technologically enabled clothing line, as well as TripLife. Peter is the author of four books: Zombie Loyalists: Using Great Service to Create Rabid Fans (2015) Nice Companies Finish First: Why Cutthroat Management is Over, and Collaboration is in, (2013,) Can We Do That?! Outrageous PR Stunts That Work–And Why Your Company Needs Them (2006,) and Customer Service: New Rules for a Social Media World (2010) and a frequent keynote speaker and workshop presenter at conferences, shows, marketing summits, corporate events, and public relations and marketing industry meetings, including Saatchi and Saatchi, Home Town Suites Hotels, NAB, Comdex, CTIA, CTAM, CES, PMA, The Next Gen Asia Advertising Conference, Mobile Marketing Asia 2007, Advertising Week, and the Direct Marketing Association. Peter is an adjunct professor of Marketing at New York University, and sits on the advisory boards of several companies, all visible on the Advising/Investing page, and is honored to sit on the NASA Civilian Advisory Council, appointed to his position by NASA Administrator Charles Bolden. He’s also an angel investor, specializing mostly in very early stage tech and social media companies. To punctuate his full-throttle schedule, Peter Shankman is a marketing pundit for the Fox News Channel Program The O’Reilly Factor and he has been a guest on many other major US and International news channels. He was featured in Men’s Journal, MSNBC, and The New York Times, and he is frequently quoted in major media and trade publications, including The Wall Street Journal, Los Angeles Times, New York Daily News, Associated Press, Reuters, CNN, and USA Today. A proud Boston University graduate, Peter started his career at America Online as a Senior News Editor, helping found the AOL Newsroom and spearheading coverage of the Democratic and Republican 1996 conventions, which marked the first time an online news service covered any major political event. Born and raised in New York City, Peter Shankman still lives there with his wife and daughter. In the few hours of spare time Peter Shankman has per month, he’s a frequent runner, with 13 completed marathons and an Olympic distance triathlon to his credit, an amateur boxer, and a “B” licensed skydiver.